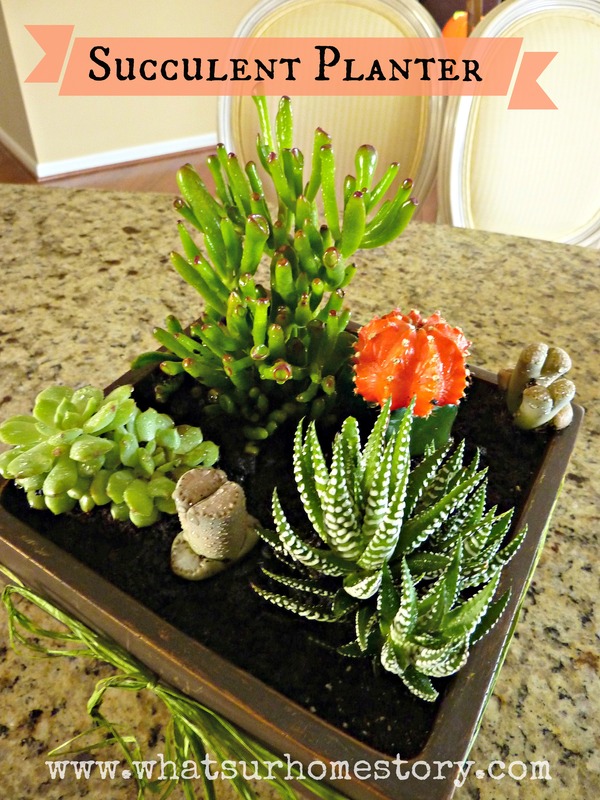 While brainstorming gift ideas for my BFF, I came across succulent gardens. We have been friends since college but have different tastes when it comes to decor. Both she and her husband lean towards modern, contemporary clean lines. 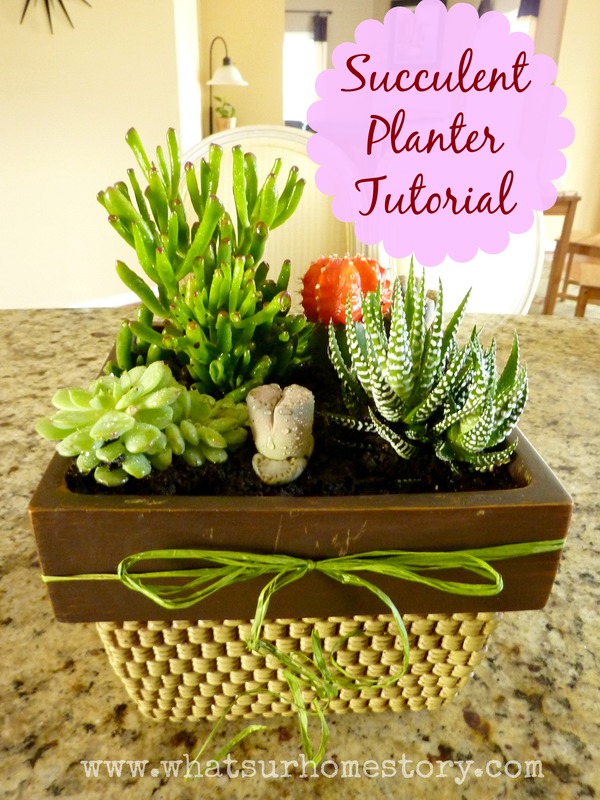 Succulents work in any kind of decor and are great gifts for anyone who enjoys plants. They are easy to care for and hard to kill. You don’t even need to water them regularly (over watering is the main reason that they die). The plan was to buy a readymade succulent garden. Neither our local Wegmans nor Home Depot had anything in the size or style that I was looking for. So I decided to make my own. I found a square planter (would have preferred a slightly less deeper one but last minute shoppers do not really get to pick and choose) and some succulents at Home Depot. The tall plant is the finger jade. The spiky one with white stripes is aptly called the zebra plant (haworthia). The light green plant in the right corner is the hens and chicks or the echeveria imbricata. The two small light grey ones that look like stones are the living stones or lithops. I added an orange cactus for some color and height. Before planting, arrange the plants (without taking them out of their pots) in the container. This will give you an idea of how the plants work with each other and the best layout. Once you are happy with the layout you can plant them. I’ve asked my friend to add some pebbles or aquarium stones to the planter (I didn’t have any at hand) to dress it up. Some green raffia (left over from the art project in my son’s room) tied around the planter in a bow adds the extra touch. Since it was a gift I’m not listing the price for each item. The plants range from $1.98 – $4.98 at Home Depot. The total price of the project depends on the planter that you use. Does these palnts need lot of sunlight? Any suggestion on indoor plants where there is no direct sunlight. Do you still have a window in the room? If so I think most house plants would work. I’m not very sure of succulents as they are desert plants. Worth giving it a try. Pothos does great almost anywhere. I have so many of those around the house. The Aglaonema or the Chinese evergreen is a non fussy plant too. I have had it in the same container since 2004. I haven’t had much luck with palms though. The key thing for indoor plants is not to over water them. Water them only when the soil is dry to touch.